Photo displaying the tail fin of a fish that is swimming underwater. The fish is to the left of the rock in the center of the photo. 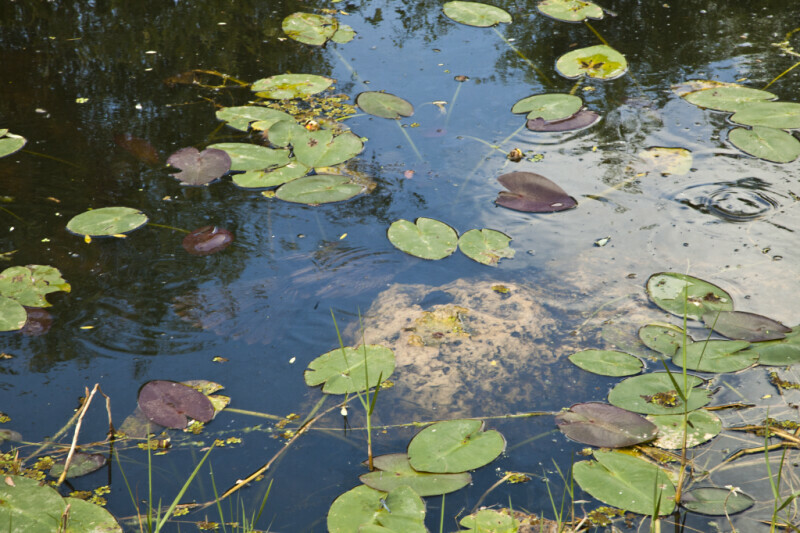 The top half of the fish is blocked from the camera's view by a water lily's leaf.